You use the rooms in your home with a specific purpose in mind, so having the right furniture in each room is a must in order to optimize each space to your wants and needs. 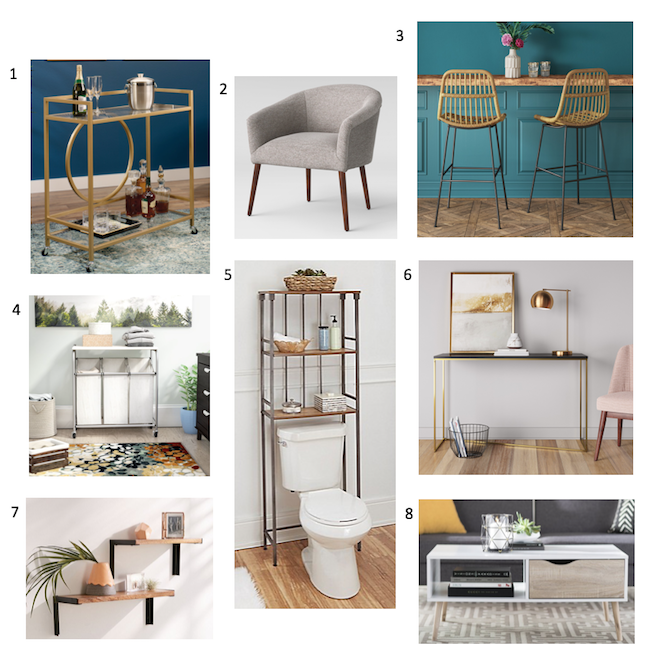 Beyond the obvious essentials you need in each room, there are a few furniture pieces you might be missing that can either add style or function to your space. Let’s go room by room and discuss what they are and how you can incorporate them into your space. From master to guest, each bedroom in your home is meant to be an intimate space primarily used for relaxation. The bedroom is one of the few spaces in your home that’s for personal use, meaning you don’t have to worry about entertaining guests or gatherings in that specific space. Bedroom furniture is pretty straightforward, but besides a bed and maybe a few side tables, there are a few furniture pieces that might add an element of relaxation and comfort in the room. Alternative seating, like a couch or accent chair, allows you to enjoy your bedroom outside of sleeping. By adding another seating option, you turn your bedroom into a private place to sit and relax. Depending on the amount of space you’re working with, add a couch or loveseat for a larger space or an accent chair and ottoman for a smaller-sized bedroom. Bathrooms aren’t traditionally rooms in the home that require extra furnishing, as most of their features are usually pre-installed. Beyond a bath or shower, toilet and sink, there’s not much left to add. However, one thing your bathroom might be missing is organization: a place to keep bathroom accessories and essentials, like extra toilet paper and soap. Think outside the college shower caddy and incorporate a stylish shelf that provides organization as well as convenient access to items that might need to be restocked quickly and easily. Extra storage can also provide a space to keep amenities for guests, like lotions, hand towels, perfumes and colognes, turning a guest bathroom from ordinary to luxurious. If your bathroom space is limited, get creative by installing shelves over the sink or toilet. 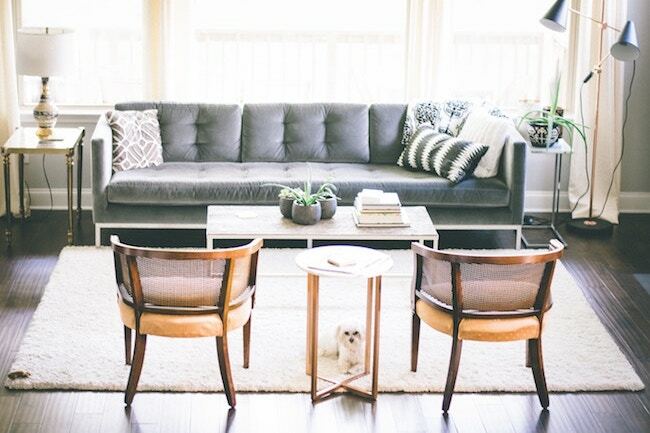 Did you know that the only difference between a living room and family room is formality? The living room is traditionally used for formal occasions, like special holiday events or large-party gatherings, while the family room is a less-formal, everyday room. While they might serve different purposes, both rooms rely on function, whether you’re hosting a party or hunkering down to binge watch a TV series. The most functional pieces are those that can work on more than one level. For example, a coffee table with underneath storage allows an above surface for items you want to be easily accessed, like a snack platter for a party or a place to put books or magazines. The storage underneath allows you to contain certain items from taking up space in the room. For example, store extra throw pillows and blankets or keep a stash of board games for entertainment purposes. While some homes might have a combined kitchen and dining space, a dedicated dining room creates an intimate area to share a meal or host a large gathering. If it’s a separate room from the kitchen, incorporate a furniture piece that creates a seamless transition from kitchen to table. For example, a bar cart can be used to transport different dishes or drinks from the kitchen right to your dining room table, eliminating multiple trips between rooms. It’s a stylish yet functional element that can be used for storing glassware or bottles or displaying drinks for dinner parties. Different than a bulky china cabinet, a bar cart can be moved around the room based on necessity. If drinks aren’t your thing, you can also use your bar cart to store extra dishware, cutlery and stemware. You can even use it as a small table, displaying flowers or any other ornate item you may want to showcase in your dining room. As the saying goes, “The kitchen is the heart of the home.” It’s more than a place where you can cook a meal; it can also serve as a central entertainment space in your home. There’s something about the kitchen that feels welcoming to family as well as outside guests. If you’re looking to open up your kitchen as another entertainment space, or maybe just looking to add an element of comfort and convenience, pull up a seat (literally). Pulling a few extra chairs or bar stools up to a counter or kitchen island opens up another avenue to dining or entertaining. It can also be a personal eating space to eat a quick meal. Depending on the room in your kitchen, chairs or stools are also easy to store in a closet or basement if you need to open up kitchen space. A home office is great for those who want a dedicated work space. Whether you have an entire room or an underutilized corner in your home, incorporating a home office can be done in any space. Having a home office means you’ll need a place for office supplies, documents and other accessories. In other words, you’ll need storage. Choose a furniture piece that helps keep you organized while working with a variety of space sizes, like floating shelves. Instead of bulky floor shelves or cabinets that take up valuable real estate, floating shelves keep your items off the floor and desk of your office while keeping them within arm’s reach. Floating shelves also create the illusion of a larger room. Like a home office, you might have a dedicated room for your laundry or you could be operating out of a hallway closet or corner of a bathroom with your washer and dryer setup. Either way, there’s a furniture piece that might help make laundry day easier. A rolling laundry hamper eliminates multiple trips around your home as well as stores your dirty laundry in a less-visible way. It’s also easier to move around your home, as a laundry basket can get heavy and hard to handle when full. You can store the hamper in either a closet or basement space when it’s not being used. A mudroom is a small room or entryway in a home, typically used for storing shoes, coats and other outdoor apparel. It’s a transition between the outside and inside of your home, so you’ll want to incorporate furniture that makes that transition fast and easy. You might already have a place to put your shoes and coats, but consider adding a landing table for items like umbrellas, purses, keys and anything else that you might want to be easily visible and accessible. While it’s functional, it’s also a decorative furniture piece that will add style to the entryway of your home, so consider dressing it up in subtle ways that make it look like more than just a table for your car keys. Remember: The term must-have is applied loosely. Depending on the rooms in your home, the amount of space you’re working with and even your style, you might find you don’t absolutely need every single item on this list. However, we hope we’ve given you a few furniture pieces that can maximize the space you do have in your home. Beyond their function, a few can even be an added decorative element to your home. Do you have suggestions for must-have home furniture? Share your thoughts in the comments below! These furniture pieces are nice but I feel like they are a little too simple and somewhat give me a feeling that they won’t last for a long time. Do you have any suggestion for furnitures that are on the formal side and might last longer? Quality does not necessarily have to cost a ton of money. We do have another furniture article you might be interested in. While it doesn’t suggest specific pieces, it does give tips on furnishing a new home.